Magento is a leading platform for B2B ecommerce with its flexibility, scalability and seamless integrations. To respond to our clients’ requests and reflect our specialism in Magento projects, we established Magium Commerce. Part of the PureNet group, Magium draws on a wealth of expertise in delivering successful ecommerce websites for 12 years. Offer dynamic customer specific pricing and multiple payment options with Magento's B2B sub-accounts features. With Magento, you are free to grow! The platform is capable of handling large volumes of products without compromising speed or experience. Set up & manage user permissions & accounts, allowing different admins and customers to view and manage certain areas or products. Did you know 41 merchants on the Internet Retailer B2B eCommerce Top 300 list have selected Magento as their Ecommerce Platform? So many businesses select Magento for its rich feature set, scalability and ability to integrate with many, many different technologies. 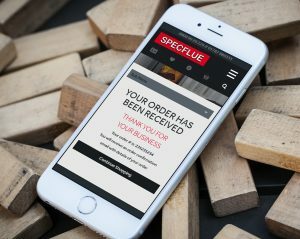 PureNet has developed integrated B2B solutions for a whole range of clients including the UKs No.1 supplier of flue and chimney products, Specflue and leading diet company Lighterlife. Our B2b clients select PureNet for its wealth of knowledge of the Magento platform and years of experience in integration, from customer specific pricing, to catalogue mode, bulk ordering and user permissions – we’ve done it all! We also understand that B2B consumers now expect an engaging, enjoyable online experience with 76% of B2B buyers wishing for enhanced search and 16% of B2B visits originating on a mobile device. 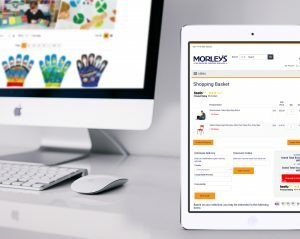 Our job is to deliver the perfect B2B online experience, technically complex and fully integrated behind the scenes, but seamless and easy-to-use on the surface. Part of the PureNet group, Magium draws on a wealth of expertise in delivering successful ecommerce websites for 12 years. We manage every element of a Magento ecommerce build from initial consultation, design, development and support. We will work closely with your internal teams to deliver your B2B Magento 2 solution to your business specifications. The Magento Ecommerce Platform is built to manage a large number of products and customers at any one time. Magento is the World’s #1 Commerce Platform, trusted by over 250,000 merchants due to its security, best practice ecommerce feature set and ability to power engaging shopping experiences. With its advanced APIs, integrating Magento with your third party systems is now more straightforward than ever and, with access to over 10,000 extensions, enhancements are fast and affordable. With Magento, integrations into your back-office and ERP systems are straightforward and seamless. PureNet has over a decade of experience in delivering integrated solutions for B2B retailers. With 16% of all B2B visits coming from mobile, responsive design is key. The PureNet Design Team are expert in designing engaging, easy-to-use websites that drive conversions across all devices. Update your ecommerce solution with ease! PureNet will guide you through your new easy-to-use Magento dashboard so you can spend more time growing your business and less time on admin.